The Futbol-Domains are now at the GoLive Period. We are accredited Registrar for Futbol-Domains and can register available Futbol-Domains at once. Here you can pre-register your name at the Futbol-domain. Pre-registration is binding. If we secure the name you would like for you, you must pay the domain fee. 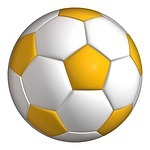 The Standard Futbol-Domain costs 60 US-Dollar/year.